With a binocular tripod mount adapter, you can take the weight off your shoulders and arms and get the steady support and stability of a tripod. 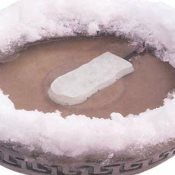 This is especially beneficial if you will be glassing areas for long periods of time. 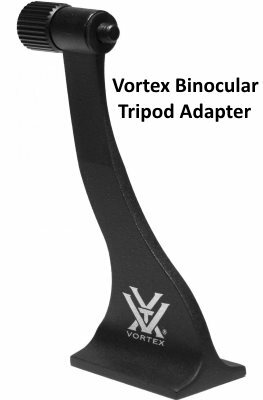 The extra stability will enable you to view details, especially at longer distances that you otherwise may miss while trying to hold binoculars steady in your hands. We think it's also a good compromise when you don't want to lug a bulky, heavy spotting scope into the field, but want the stability of a tripod for your optics. Undoubtedly, when using high power binoculars, with magnification of 16x, 20x, 25x and above, you will definitely appreciate the use of a binocular adapter on a tripod when viewing wildlife at long distances or when star gazing. But because the adapter is small and light, you can take it with you along with your spotting scope if you wanted both. Use the binoculars on the tripod for the wide field of view when first glassing, then switch to the spotting scope when you want to get a closer look at whatever objects you spotted with the binoculars. 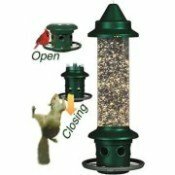 It's a simple, effective, and relatively cheap way to allow you to use your binoculars in a more advantageous way to view birds and other wildlife. 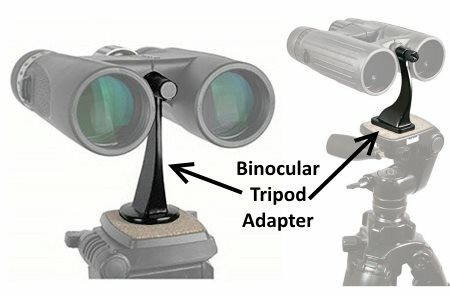 Almost all mid-size and full-size binoculars are outfitted with a decorative plug and the front of the center hinge which is removable. You simply unscrew it to reveal a 1/4" hole which is the point of attachment that fits into the bolt on the binocular tripod adapter. You just line the hole on the binoculars with the bolt and thread it onto the adapter. You attach the adapter to the tripod by screwing the 1/4"-20 standard threading on the bottom of the adapter onto the quick release plate of most tripods. Even though a binocular tripod adapter is relatively inexpensive, you can make your own if you want with an L-bracket, a 1/4"-20 bolt and a 1/4"-20 nut. You'll need to be able to drill a couple of 1/4" holes into the bracket for the bolt attachment to the binocular and to thread the nut onto your tripod. If you already have a monopod or tripod, you may be able to use the camera adapter mount from it to attach your binoculars to the tripod. 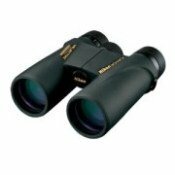 Binoculars 101 - What does all the binocular terms mean and how to choose the best binoculars for your needs.